Reviving a centuries old tradition. L.A.D. Historical Fencing is a fencing school located in Berks County PA, in Kutztown. Here at L.A.D. our main focus is on the longsword, a 2 handed weapon with a double edge, but we also study other weapons of the medieval era including dagger, spear, and grappling. We accept students of all experience levels ages 16 and older. L.A.D. 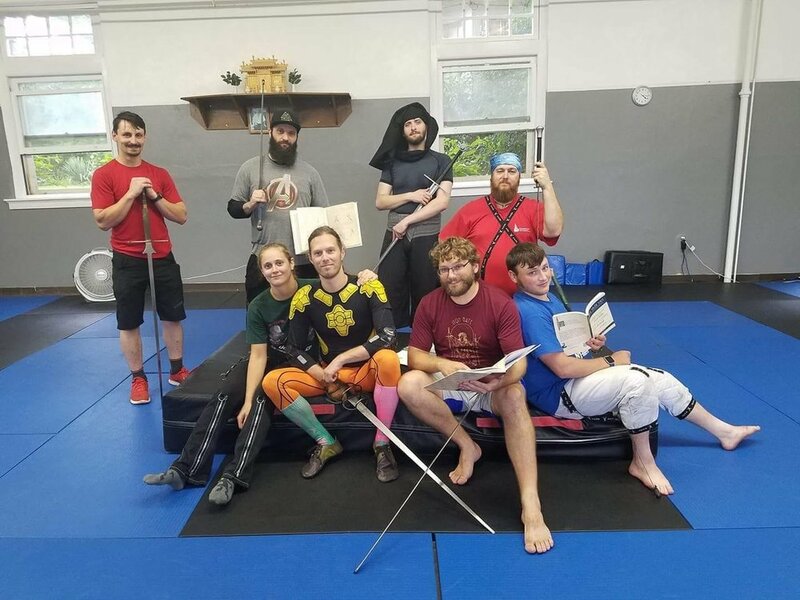 Historical Fencing teaches fencing classes utilizing various historical weapons with a focus on late medieval two handed swordplay. We encourage people to get out and exercise in the most fun way imaginable, fighting with your friends! L.A.D. is a 100% non profit group that focuses on the individual over curriculum because every person learns differently. Our volunteer instructors have a strong passion for medieval fencing, and they do it simply because we want to fence with you. We are also part of The Longpoint Historical Fencing League. The "LHFL" is a year long league for fencers to compete in multiple connected tournaments around our region. L.A.D. competes as a club at most/all of these events and highly encourages students to attend these events and have some fun within the greater HEMA community. The league finals are fought annually at Longpoint, in Baltimore, Maryland.